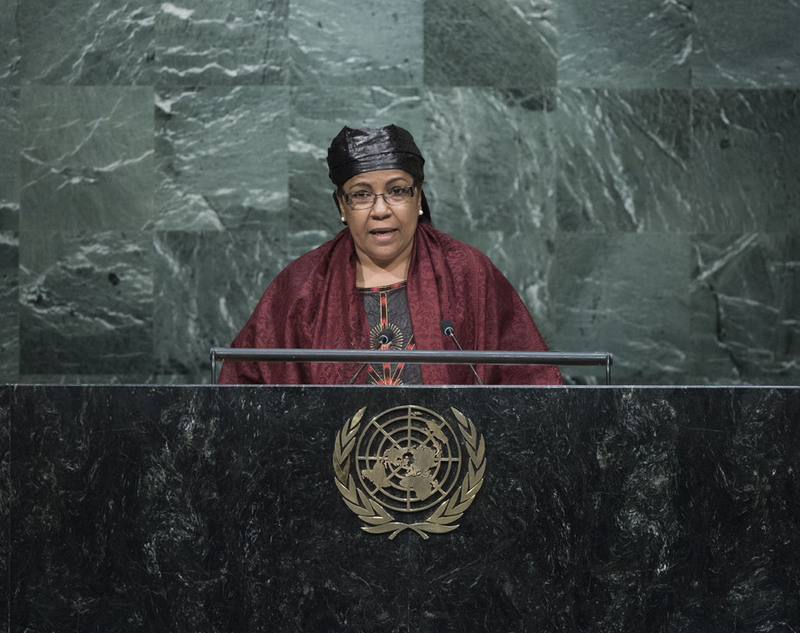 AÏCHATOU BOULAMA KANÉ, Minister for Foreign Affairs of Niger, said the United Nations had seen success in preventing conflict, including through its counterterrorism strategy and the 2001 Programme of Action on Small Arms, among other key achievements. The Organization had also adapted well to crises which were increasingly complex. As a major troop contributor, her country looked forward to the new report of the Secretary-General on the future of peacekeeping operations. Citing several recent accomplishments, she said the conclusion in July of the Iran nuclear deal was a “real reason for satisfaction”. However, the Israeli-Palestinian crisis had not yet been resolved in spite of many initiatives and peace plans of the United Nations and its Member States. Niger stood in solidarity with the Palestinian people and was a supporter of the two-State Solution. In addition, wars in Syria, Iraq and Yemen were other reasons for concern, and led to the “daily drama” of a massive influx of refugees. She went on to express her satisfaction with the restoration of democracy in Burkina Faso, thanks to the Economic Community of West African States (ECOWAS) and the African Union. She also welcomed the National Reconciliation Forum in the Central African Republic, and the signing in June of the Agreement for Peace and Reconciliation in Mali. In Libya, the activities of armed groups threatened the peace and security that Libyans deserved, as well as the entire Sahel region. Those situations of conflict were exacerbated by violent extremism and terrorism. For example, Boko Haram disturbed the peace of the Lake Chad region. However, that group would be defeated by the coalition of the States of the region that had formed to combat it. Niger was committed to combating the phenomenon of terrorism in all its forms, both regionally and internationally. Finally, she welcomed the “new turning point” marked by the 2030 Agenda.